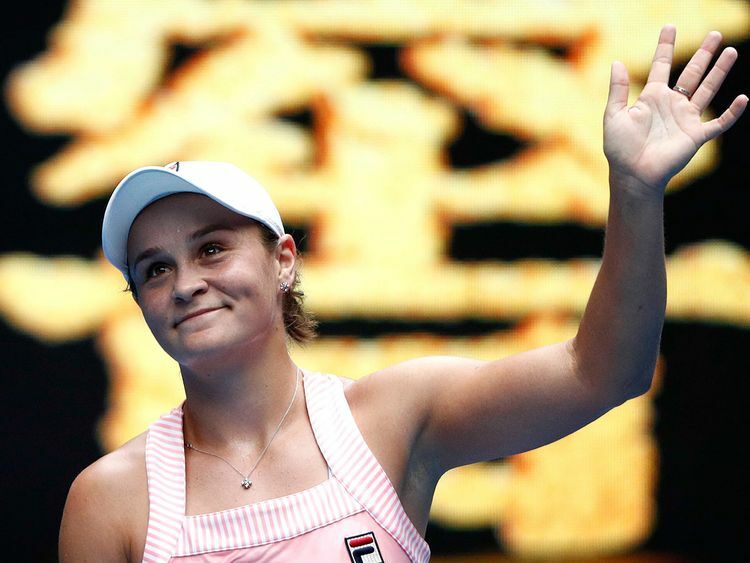 Melbourne: Ashleigh Barty stunned five-time Grand Slam winner Maria Sharapova in a three-set thriller to reach the Australian Open quarter-finals on Sunday. Roared on by a packed Melbourne Park crowd, the 15th seed defeated the Russian 4-6, 6-1, 6-4 to become the first Australian to make the last eight of the tournament in a decade. After losing a tight first set, Barty went on a nine-game winning streak to take the second before holding off a Sharapova fightback late in the third. "That was a little bit close, wasn't it?" the 22-year-old said after sealing the win with an ace. "I gave myself opportunities in the third set and couldn't take them. I had to take a deep breath and trust the work that I've done with my team. Go up and hit my spots." Her next opponent is Petra Kvitova, who is on a nine-match winning streak including defeating the Australian in a tight three-setter to decide the final of the Sydney International warm up. Barty praised the fighting qualities of Sharapova, who appeared to have wilted in the Australian sun before giving her opponent some nervous moments late in the match. "She is an absolute champion," Barty said of the 31-year-old, who dumped defending champion Caroline Wozniacki from the tournament in the previous round. "She was never going to go away. I knew I had to keep chipping away." Sharapova, seeded 30th this year as she tries to rejoin the game's elite after returning from a 15-month doping ban in 2017, struggled with her serve for much of the match. She committed 10 double faults and made 51 unforced errors. Barty lost her only previous meeting with Sharapova in Rome last year but has won seven of her eight matches in 2019.